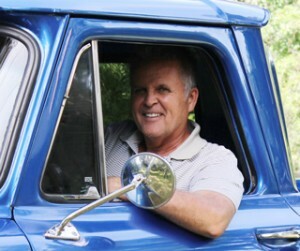 I’ve always been a road trip guy – ever since I bought my very first car. I remember being 16 years old and wanting to just hit the road, far away from everyone. Of course, at that age, my folks had plenty to say about that. I had to stay within 25 miles of home. But once I left the nest at age 19, my buddies and I would take 800 mile road trips over long weekends. And at that age, who plans anything? We’d throw our sleeping bags and a tent in the trunk and away we’d go! Of course, over the years, I toned down those spur-of-the-moment excursions a bit. My wife and I would at least have some idea of where we wanted to end up each night and how long we’d be gone. But we still did plenty of sightseeing in this great land of ours and most of it from behind the wheel of our family car. In recent years, my brother, Jeff, and I have taken to exploring sections of Route 66, as time and budgets allow. Most of that legendary highway has morphed into Interstate 40 from Oklahoma City westward, but there are still plenty of side trips you can take on the Mother Road and actually be on old RT 66. Jeff and I will be tackling another stretch of it in early summer – can’t wait! I have a couple of great resources for you to start planning your epic adventure. If you’re Internet savvy, check out roadtripusa.com. This website has a plethora of incredible information, and plenty of recommended trips crisscrossing the USA. 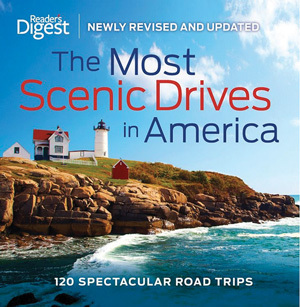 If it’s an informative book you’re after, you have to read The Most Scenic Drives in America, by Reader’s Digest. 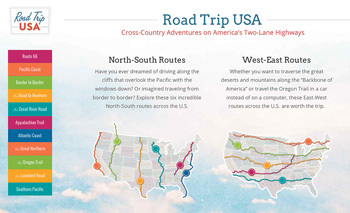 This full color printed piece features detailed info on 120 potential road trips! It is available at most major bookstores. If you’ve got some future road trip plans in the works, I would love to hear about them! Or, if you’ve done a memorable trip in the past, likewise, please share your story/photos. So, here we are with Chevy Classics’ first issue of 2016. Where did the past year go? (See, they go by too fast, do that road trip!) Since we published our International issue back in September, we’ve had a few more story submissions from outside the U.S. A couple of them you’ll find right here in this issue. First up in the feature car department is a ’57 Bel Air Sedan hailing from Trondheim, Norway. Following that we head down under, to NSW, Australia, where we’ll meet a ’58 Biscayne. Next, we return stateside to Carrollton, TX – the home of a very unique 1962 Corvair “95” Corvan. And finally, our cover car – a beautiful ’67 Camaro RS convertible out of Cocoa Beach, FL. Other cool stuff in this issue includes a great how-to article on installing insulation in your classic, coverage of the Ho-Down car show, a heart-warming 60th anniversary story, and all the action you can handle at the Pure Stock Drags! In case any of you were wondering, yes, we screwed up in last issue’s “Coming Next” section. We promised you’d see a 998 point ’57 Bel Air, a Hugger Orange ’69 Chevelle, and “something a little different” from Australia. Well, the something different from Australia is in this issue, but neither of those other cars. Last minute content changes dictated otherwise. You’ll see both of that ’57 and the Chevelle in our February issue, promise.